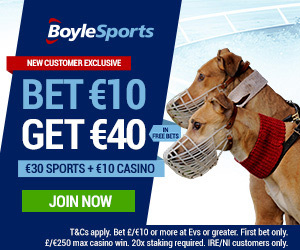 Ireland has been associated with the coursing of greyhounds for generations, although the Irish Coursing Club was not formally established until 1916. Before then, the sport of coursing and its rules were already highly developed in England for several hundred years, and it was the Duke of Norfolk who fully described them as the Laws of the Leash in the late 1500s. 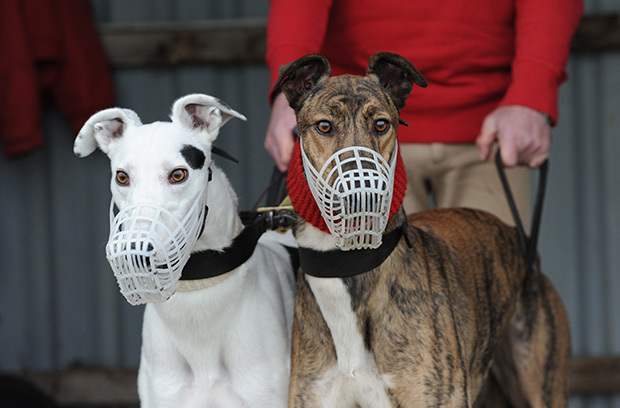 Many standards we still see in coursing today can be found in Laws of the Leash, and this includes only two greyhounds released at a time, and allowing the hare a significant head start before the greyhounds are slipped. 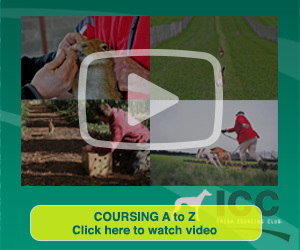 Coursing is managed and regulated by the Irish Coursing Club (ICC), and consists of 89 affiliated clubs from Ireland and Northern Ireland, all of whom must abide by the ICC’s rules and regulations. Club Representatives are nominated and voted on to the Executive Committee to manage the affairs of the club, together with the President, Treasurer and Secretary. With many thousands of active members, people from all walks of life and of all ages participate in the sport – men, women, boys and girls, and in many cases it has been enjoyed within the same family for generations. 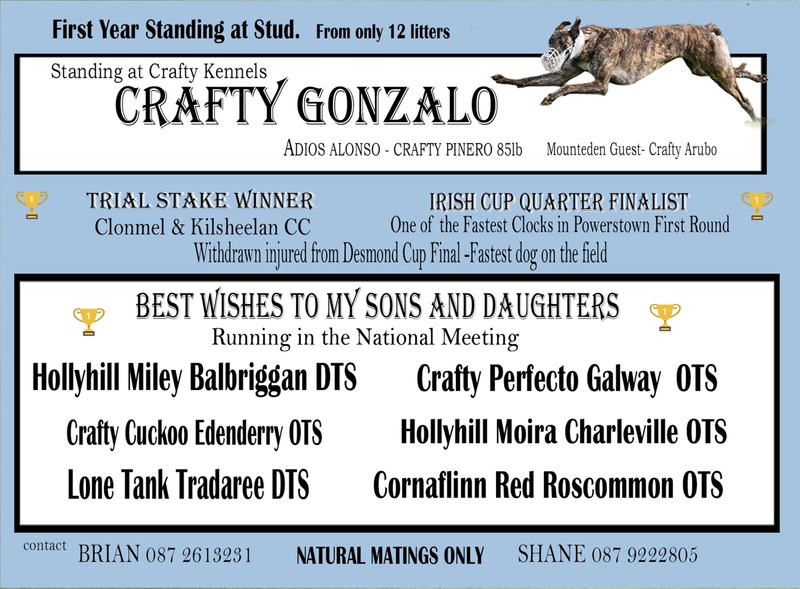 The two main highlights of the year are the National Meeting in Clonmel, held in February, and followed a few weeks later by the Irish Cup, hosted by the County Limerick Coursing Club. 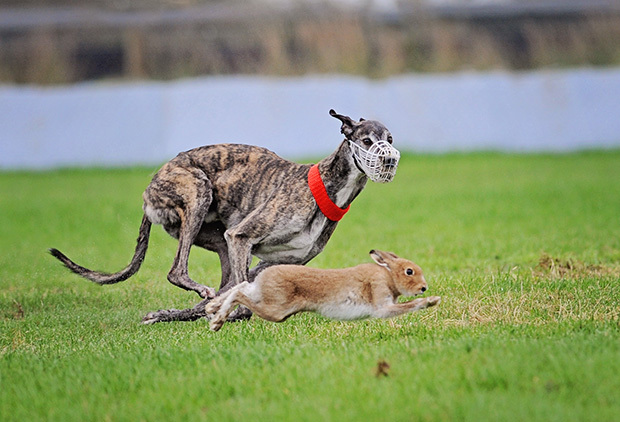 Coursing is all about the hare, a remarkable work of nature which has thrived for thousands of years on our island, and will continue to flourish only with the assistance of coursing clubs. 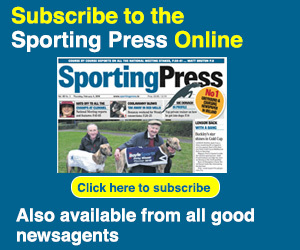 It is this concern for hare conservation that makes the sport so indispensable and unique. Without the efforts of our sport, the hare population would be without the significant layer of protection it presently enjoys from the hare husbandry initiatives afforded by coursing clubs on a 12 month basis. The Irish hare is legally protected since 1930 in the Republic of Ireland, initially under the Game Preservation Act (1930), more recently by the Wildlife Act (1976) and Wildlife (Amendment) Act (2000). The hare is listed as an internationally important species in the Irish Red Data Book (Whilde, 1993). 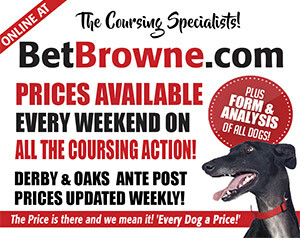 Coursing operates in a highly regulated environment coupled with comprehensive rules directly applied by the ICC. It operates under a licence from the Minister of Arts, Heritage & the Gaeltacht, issued annually with a total of 22 conditions attached. Although our sport may take place only over the winter months and is sensitive to the hare breeding season, the protection and policing of preserves is a continuous activity and conducted on a voluntary basis. 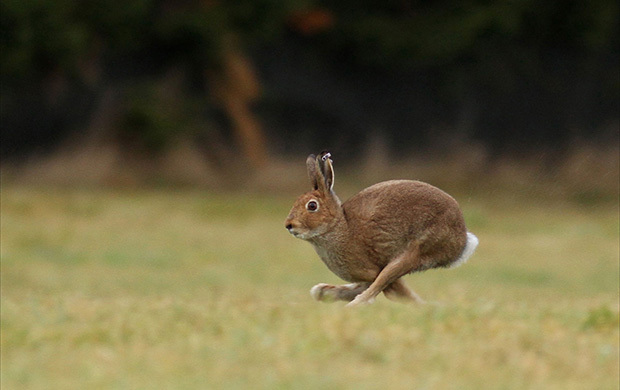 Quercus, the Belfast University research body reports that “Irish hares are 18 times more abundant in areas managed by the Irish Coursing Club than at similar sites in the wider countryside”. Without regulated coursing there would be an increase of unregulated illegal hunting taking place throughout the year, with no organisation taking responsibility or interest in the overall well-being of the hare. If coursing clubs ceased to perform their functions, the hare population here would decline at a rapid rate as the proliferation of illegal hunting could easily rise to epidemic proportions as seen in the UK, where poaching and hare population decline are the order of the day. 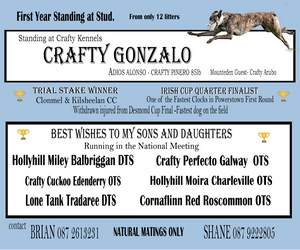 Finally, I offer a quote I recently found that seems appropriate: “The future of coursing is so dependent on hare preservation that no effort should be spared by us to put it on an assured basis.” That was from an October 1924 edition of the Irish Coursing Calendar, now known as the Sporting Press newspaper. The Irish Coursing Club has been, and will continue to be, deeply immersed in the conservation of the Irish Hare population, always seeking new ways to improve conservation in the face of loss of habitat due to the “advances” of our modern world and in spite of grossly uninformed efforts to ban it when no proven alternative conservation programmes are in place.